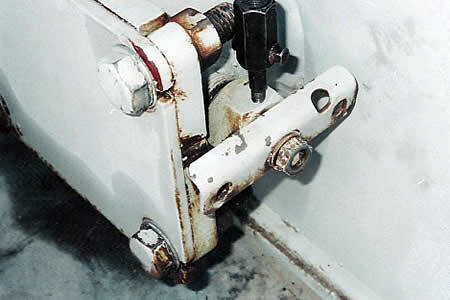 A common transformer leak results from packing failure on 4-bolt flapper and 8-bolt butterfly valve stems. (Figure 1 & 2) Once the packing deteriorates, compression cannot be sustained by continuing to tighten the packing nut and therefore leaks develop. To repair the packing traditionally, the old packing has to be replaced. 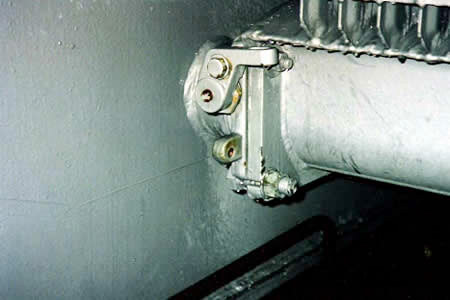 Since the valve stem is usually on the transformer side of the flapper valve closure disc, care must be taken not to spill oil during the repair process. 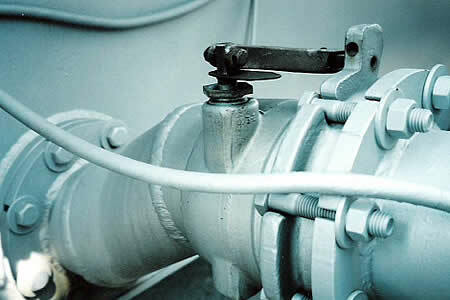 This entails draining the oil from the main tank or pulling a vacuum, both time consuming and expensive procedures. TDS drills and taps a hole into the failed packing area allowing for the temporary installation of an injection valve. 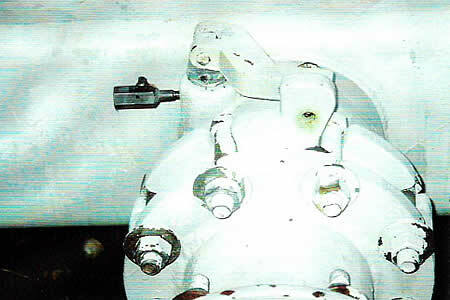 (Figures 3 & 4) TDS sealant is then injected into the packing area with a hydraulic gun. The sealant flows into the packing area until the void is filled, thereby fixing the leak. TDS’s sealant is non-adhering and rubber based which makes it compressible and oil resistant. The valve is fully operational after the repair is complete.